I'll be joined in the studio this week by Bernadette Stephens Cruse, lead singer of Fado Nosso, Richmond's leading fado band. Fado is the Portuguese blues, a 200-year-old genre that combines folk melodies, influences from Lusophone colonies Brazil, Cape Verde and Angola, and the ineffable feeling Portuguese speakers refer to as saudade. Fado Nosso will be a central part in a unique event that's happening this weekend: a music/dance performance called Amalia at Dogtown Dance Theatre. Bernadette and I will talk about Fado Nosso, Amalia, fado and more starting at about 4:00. She's also bringing a set of some of her favorite fado songs to introduce you to this unique genre of music. 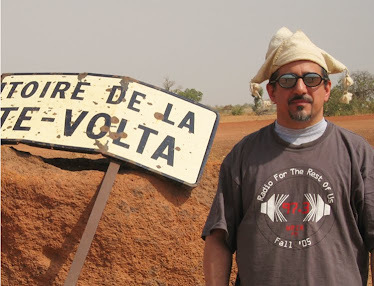 Also on this week's program: Brazilian rock including a song by Marcelo Fruet & Os Cozinheiros, who will play live on next week's show; and the latest and greatest from West Africa.